The best place to welcome the new year is the definitely in Kuala Lumpur. 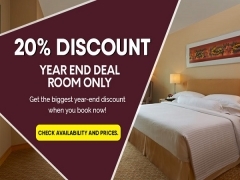 So here's a 20% accommodation discount to make your trip even more exciting. Book now and get instant confirmation!